Minerals have always been extremely important for the skin, and they have often been overlooked when compared to the attention received by vitamins. Minerals are responsible for carrying out essential body functions through enzyme reactions and they facilitate nutrients throughout the cell membranes. 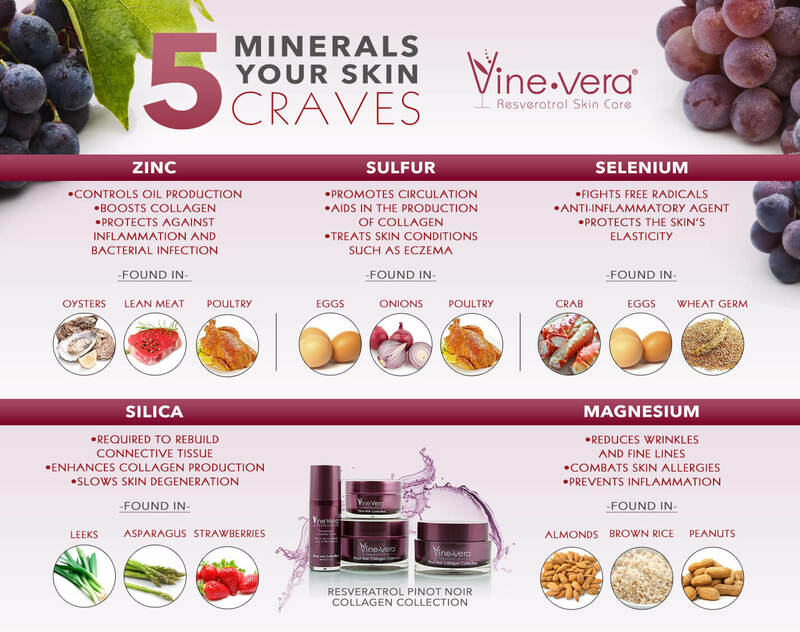 Vine Vera brings you an exciting infographic that showcases the 5 minerals that your skin craves.